"I am a sociable girl and I love making new friends. I am cheerful and full of will. Everyone defines me as lively but also shy, funny and sunny. I am from Puglia, and I love my land"
• Anita (Anita Simoncini, 15, Aries), from Montegiardino (Republic of San Marino) is the only Sammarinese of the band, beside singing, she is working on his passion for ballet and contemporary dance. She has been taking part in the choir of San Marino since childhood first in treble voices, then in blues voices section, she also studied in the Voice Academy and has performed in a several shows. She listens to different genres, but her favourite one is R'n'B and favourite artists: Beyonce, Bruno Mars and Coldplay. "I love the feeling of being on stage and making people excited. In life I want to sing, dance, have fun, travel and help people. I would love to get ability to sleep the whole days and eat without getting fat"
"I come from the land of poets. I am friendly, sincere, my best friends have four legs; I'm unbeatable at arm wrestling and when I go on stage I feel like ... a Harley Davidson!" • Arianna (Arianna Ulivi, 15, libra) from Galeata (Forlì-Cesena, Italy) sings on stage since she was a little kid, she also loves travelling and getting to know other cultures and contexts, and already had the chance to perform in front of an international audience. 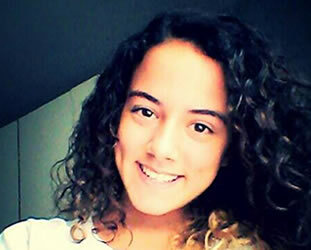 She has studied for two years in piano school "Roveroni" of Santa Sofia, in December 2012 took part in the contest "Giovani Note" at Fiera di Forlì, also took part in two editions of "Vocine Nuove di Castrocaro", last may won contest "Classico'sgot talent" at the high school in Forli' and in June participated in the Olympics in the municipalities of Forli to represent Galeata. Her favourite styles are pop, rap and disco and among favourite singers she names Laura Pausini, Tiziano Ferro and Eros Ramazzotti. "I call myself a cheerful girl, lively and peppery! I grew up on music and piadina flatbread. 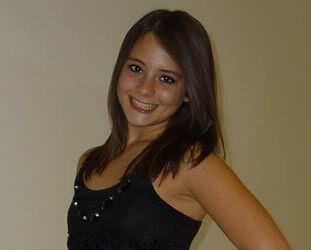 I play piano, I love meeting new people and I love to travel, so there is no coincidence that I study three languages​​!" "I am a cheerful and romantic. I love the sea, in particular that of my Cervia, the colors of sunsets and nature in general! I volunteer at the shelter because I love dogs"
The Peppermints projects results from an intuition by Antonello Carozza (Amici 2005, Sanremo 2006, Russian preselection for ESC 2010), who just one year ago already mentored and produced the sammarinese debut at the Junior Eurovision Song Contest. 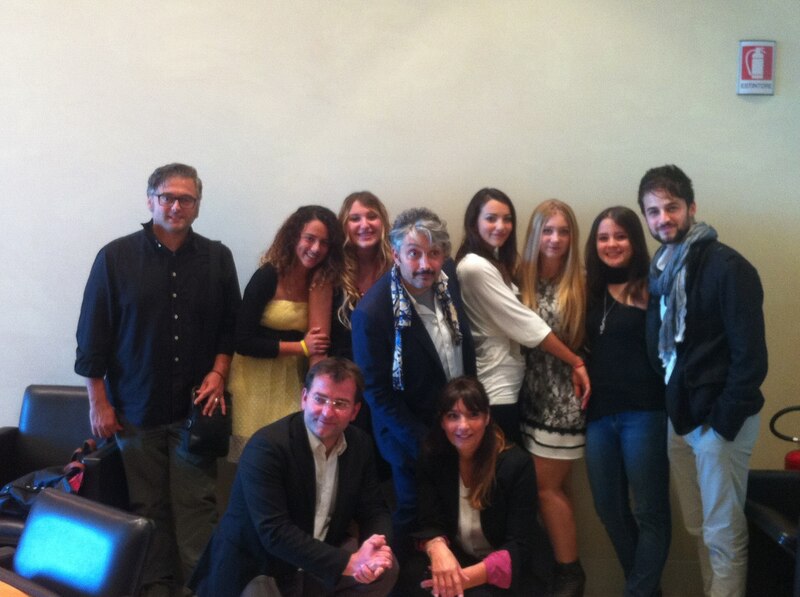 Carozza will take care of the artistic director of the second sammarinese adventure to the JESC. This time together with maestro Luca Medri. 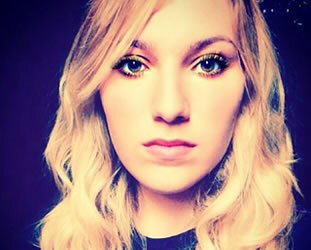 Erika Barbato will take the duties of the group's stylist. The sammarinese entry in Malta is "Breaking My Heart", composed by Luca Medri (was on Sanremo stage in 2007 with his former band Khorakhanè) together with Chris Lapolla (Indigo Light Club), the lyrics have been penned again by Medri and Lapolla, with help of Antonello Carozza and with the five Peppermints. "Breaking My Heart" is an actual discographic project and their participation in the Junior Eurovision Song Contest will be the main event of the marketing and campaign which will launch The Peppermints through a series of live gigs in Italy and abroad. The Peppermints were publicly introduced to the press on September 29, 2014, in a Press Conference held in San Marino, in the state broadcaster headquarter. The Republic state broadcaster, San Marino RTV established a partnership with "Vocine Nuove di Castrocaro" (Castrocaro New Little Voices) (international contest for children up to 14 years old, run under the auspices of the Municipality of Castrocaro Terme e Terra del Sole) in order to select their representatives to the Junior Eurovision Song Contest. Starting in 2014, San Marino representatives at the JESC will necessarily be selected among the boys and girls who take part in this international song contest for newcomers. 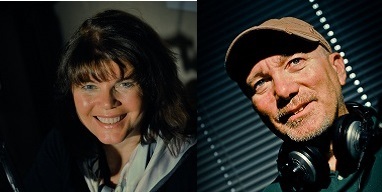 Several organizers of this festival, including it's artistic director Catia Conficoni, composer and producer Luca Medri and marketing and communication specialist Franco Maciariello will join Antonello Carozza in the team working on Sammarinese preparations for the Junior Eurovision. "With the other "Peppermints" we met for the first time a fortnight before the presentation. Some of us were already acquiainted through participation in the different singing competitions. We immediately got well: a bit of small talk to break the ice, then off to try the track. Shortly after we have recorded it. With the filming of backstage of recording session we have made the video clip. Behind us is a big professional machine, starting from dance teachers to a coach of English pronunciation"
San Marino RTV is keeping the same team that has commented Junior Eurovision Song Contest 2013 - Lia Fiorio and Gilberto Gattei, reports Eurofestival News. The event, as last year, will also broadcasted on a local radio. Lia Fiorio, of Lombardia origin, will celebrate her 17th Eurovision event as commentator, of which 15 were adult ESC contests (absolute record for Italian commentator) and 2 - Junior. As usual, there will be no televoting in San Marino, because the telephone codes are identical to Italy, and it is not possible to separate local votes from Italian. Watch head of delegation of San Marino Alessandro Capicchioni introducing "The Peppermints" at the presentation of the new programming schedule of San Marino RTV. The band has performed short acapella excerpt of "Breaking My Heart". Also a special video message from ESC 2012-14 entrant Valentina Monetta was shown. 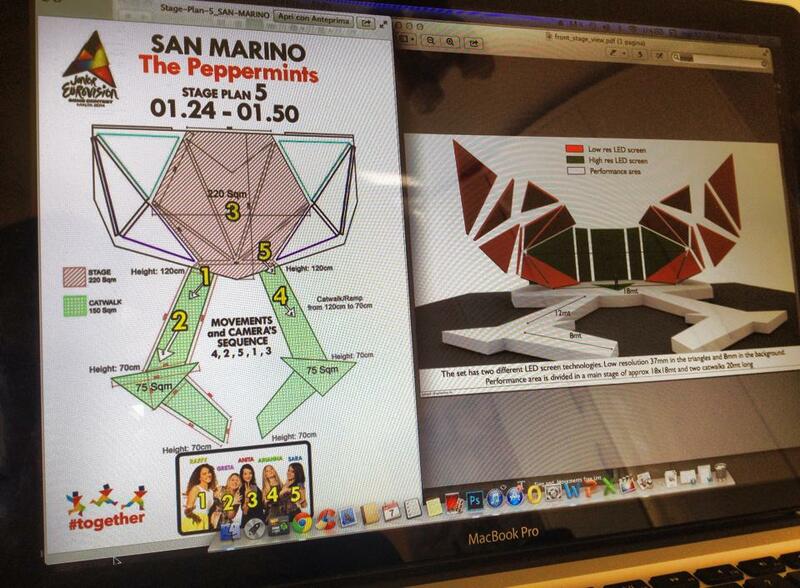 The image posted by producer Antonello Carozza shows the planning for movement of The Peppermints girls (Raffaella 1, Greta 2, Anita 3, Arianna 4, Sara 5) on Junior Eurovision stage at time sequence 01.24-01.50 into their song "Breaking My Heart". It seems that 4 of them will be using the stage catwalks at that time. Not only Eurovision fans sites have reported on the selection of "The Peppermints" group to the Junior Eurovision Song Contest, several major Italian media have devoted to them their pages and reports. Participation in the Junior Eurovision Song Contest will be the main event of the marketing and campaign which will launch "The Peppermints" through a series of live gigs in Italy and abroad. Websites: Corriere di Taranto, Agora Magazine, Ravenna Today, magazine Sorrisi, newspapers Il resto de Carlino, Corriere Romagna, LaVoce, Spettacoli and TV channel Nuova Rete. Post by Sara Dall'Olio fan club. 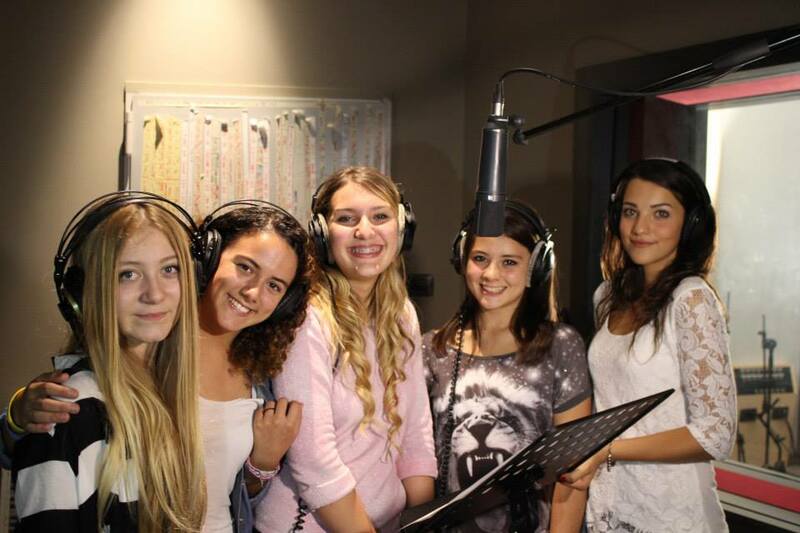 Girls band "The Peppermints" has been confirmed to represent San Marino at Junior Eurovision 2014. 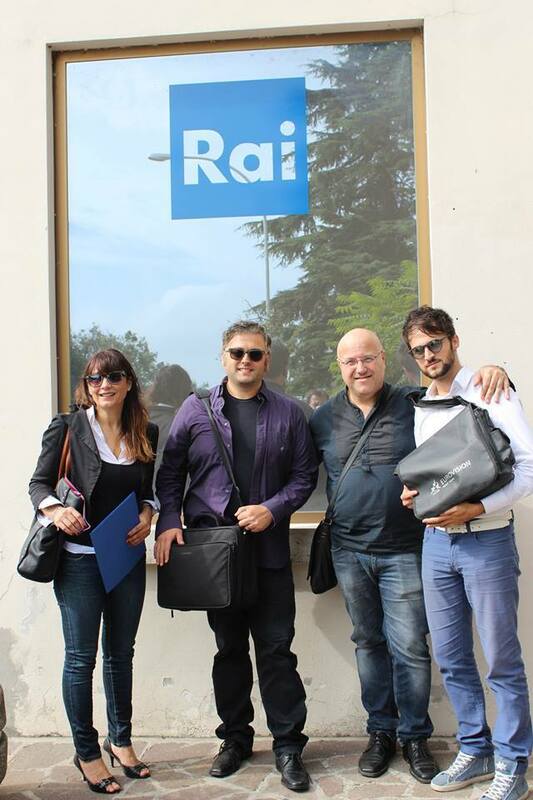 Raffy, Greta, Arianna, Sara and Anita have appeared together with their mentor Antonello Carozza and head of delegation Alessandro Capicchioni in the News broadcast of RTV San Marino. Watch the short interview here and full news report here. The band was officially unveiled today at a press conference at the Kursaal, in the presence of the Secretary of State for the Youth, Teodoro Lonfernini, as well as representatives of RTV delegation, art direction and production team. 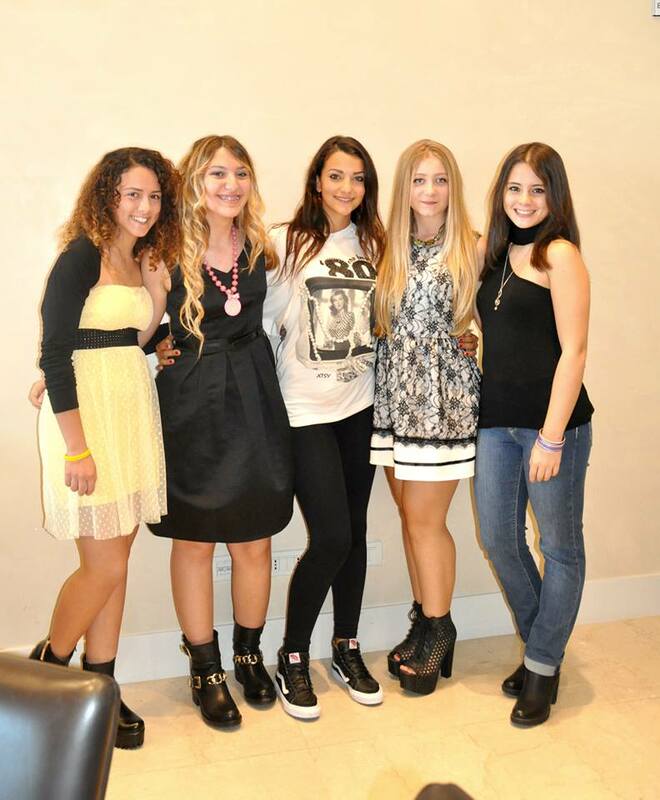 Five member girls band "The Peppermints" will represent San Marin at Junior Eurovision 2014. 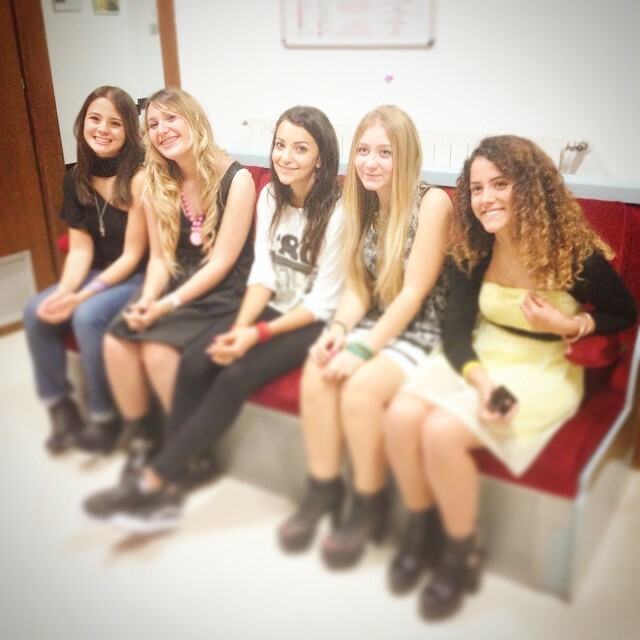 The information has been reported today by the Italian TV magazine "TV Sorrisi e Canzoni". The information on "The Peppermints" selection was 'yet unofficially' confirmed by artistic director of the project Antonello Carozza on his page in the social network. The entry of San Marino (artists and song) will be presented officially on Monday, September 29 at 13.00 CET on a special press-conference. Post by Antonello QueensAcademy Carozza. Representatives of San Marino at Junior Eurovision will be chosen from the current or former participants of the music contest "Vocine Nuove di Castrocaro" and probably will be a duet, reports today leading Italian Eurovision fansite Eurofestival News. "Vocine Nuove" is international contest for children up to 14 years old, run under the auspices of the Municipality of Castrocaro Terme e Terra del Sole. Possibly, in future years, this competition can be turned to become sort of Junior Eurovision preselection for San Marino. The rule on citizenship has been changed for Junior Eurovision 2014. A new rule reads: "Eligible artists are children who are either of the nationality of the participating country or have been resident in that country". That means, there is no longer criteria of minimum of 2.5 years of being resident of the country in question. Technically, it makes Italian or any other singers eligible to perform for San Marino if they get temporary residence permit in the country. The production team for the Sammarinese entry will again feature producer and composer Antonello Carozza, who mentored first representative of this country Michele Perniola. 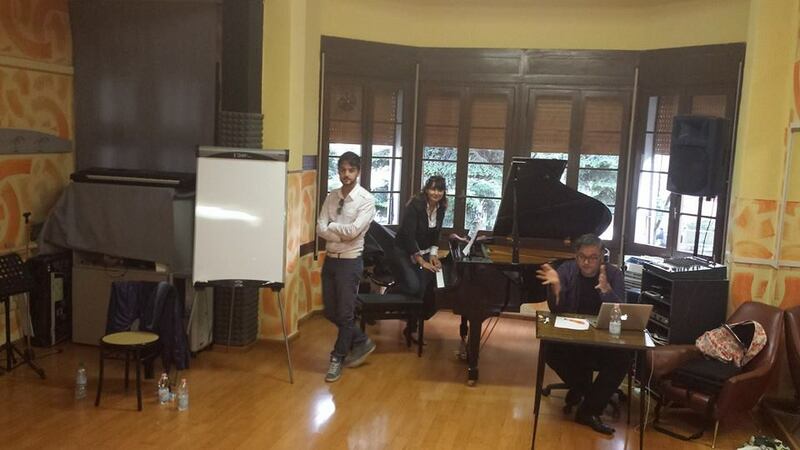 In the recent days Antonello, together with his colleagues, artistic director of "Vocine Nuove di Castrocaro" Catia Conficoni and Maestro Luca Medri, responsible for "Baby Band" section of the contest, have been posting series of photos hinting on the special "top secret" grand project they are working on. Facebook page of "Vocine Nuove di Castrocaro" is also running countdown to some special announcement that will end exactly on September 30, the day when new entrant of San Marino will be presented. So it looks certain that the Junior Eurovision participant will be indeed related to this festival or at least it's team. Eurofestival news hints that chosen act will likely be a duet, and as such may qualify finalists of 2013 edition of "Vocine Nuove" Serena Planta and Marco Caudullo. Winners of 2014 edition of the festival that took place in May, were Sophia Murgia (Junior category) and Claudia Verrillo (Baby category). On September 22 it was announced that entry will be performed in mix of Italian and English languages. 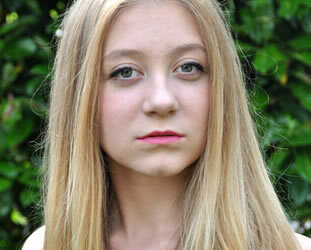 The Republic of San Marino will be represented in the Junior Eurovision Song Contest for the second year running. Today at a meeting in the country, participation in Junior Eurovision 2014 was approved by the Director General of San Marino RTV Carlo Romeo. Details on participation and San Marino entry will be made ​​public at a press conference on September 29, 13.00. All countries are required to submit their entries by the Head of Delegation meeting on 30 September, unless the Steering Group grants them special dispensation. "Я очень общительная девушка и люблю заводить новых друзей. Я веселая и волевая. Знакомые называют меня оживленной, но несколько скромной, радостной и солнечной. Я из Апулии и я очень люблю свою Родину"
"Мне очень нравится то чувство, когда я пою на сцене и делаю людей счастливыми. В жизни я бы хотела петь, танцевать, веселиться, путешествовать и помогать людям. Я бы хотела иметь возможность спать целые сутки и есть не толстея"
"Я родом из страны поэтов. Я дружелюбная, искренняя, у моих лучших друзей четыре ноги. Меня невозможно победить в армрестлинге, а когда я выхожу на сцену я чувствую себя как... Харлей Дэвидсон!" "Я считаю себя веселой, живой девушкой с перчинкой! Я выросла на музыке и лепешках пиадина. Я играю на фортепиано, люблю встречаться с новыми людьми и люблю путешествовать, поэтому это не случайно, что я изучаю три языка!" "Я веселая и романтичная. Мне нравится море, особенно в моей родной Червии, цвета заката и вообще природа! Я помогаю волонтером в приюте для животных, потому что мне нравятся собаки"
Руководителем проекта The Peppermints является Антонелло Кароцца (Amici 2005, Sanremo 2006, Российский отбор на Евровидение 2010), который в прошлом году уже был продюсером и педагогом представителя Сан-Марино на Детском Евровидении Микеле Перниолы. В этом году Кароцца станет арт-директором проекта, а вместе с ним будет работать маэстро Лука Медри. На конкурсе будет исполнена песня "Breaking My Heart", которую написали Люка Медри (член группы Khorakhanè и участник Sanremo 2007) и Крис Лаполла (участник группы Indigo light club) на стихи Медри, Лаполлы, Антонелло Кароцца и самих The Peppermints. "Breaking My Heart" - это длительный проект, и участие в Детском Евровидении - лишь шаг в продвижении группы. После окончания конкурса у нее запланирована серия концертов в Италии и зарубежом. Группа The Peppermints была официально представлена прессе 29го сентября 2014 года на пресс-конференции, прошедшей в штаб-квартире вещателя Сан-Марино. Национальный вещатель, телекомпания RTV San Marino, заключила соглашение с "Vocine Nuove di Castrocaro" (Новые маленькие голоса Кастрокаро) - международным конкурсом для детей в возрасте до 14 лет, проводимым муниципалитетом коммуны Кастрокаро-Терме-э-Терра-дель-Соле, о совместном выборе представителей на Детское Евровидение. Начиная с 2014 года, представители этой страны на конкурсе будут обязательно выбираться из мальчиков и девочек, принимающих участие в этом международном конкурсе. Ряд организаторов этого фестиваля, включая его художественного директора Катю Конфикони, композитора и продюсера Луку Медри, специалиста по маркетингу и коммуникациям Франко Макиарелло, войдут вместе с Антонелло Кароцца в команду Сан-Марино по подготовке к Детскому Евровидению. "С другими "Peppermints" мы впервые встретились за пару недель до премьеры. Некоторые из нас уже были знакомы, участвуя в различных музыкальных конкурсах. Мы сразу же сдружились: немного общения, чтобы разбить лед, и затем сразу пробовать песню. Вскоре после этого началась запись. Съемки на ней вошли в видеоклип. За нами стоит большая профессиональная машина, начиная от учителей танца, и заканчивая преподавателем, следящим за английским произношением"
Телеканал San Marino RTV сохранит ту же самую пару комментаторов, что работала и на Детском Евровидении 2013 - Лиа Фиорио и Джильберто Гаттеи. Как и в прошлом году, конкурс также будет транслироваться на местном радио. Для Лии Фиорио, родом из Ломбардии, это будет уже 17е Евровидение в качестве комментатора - 15 раз она работала на взрослом конкурсе (абсолютный рекорд среди всех итальянских комментаторов) и 2 раза на Детском. Как обычно, в Сан-Марино не будет организовано телеголосование, поскольку телефонные коды совпадают с итальянскими и нет технической возможности разделить голоса этих двух стран. Здесь вы можете посмотреть, как глава делегации Сан-Марино Алессандро Капиччиони представляет группу "The Peppermints" на презентации нового программного расписания телеканала RTV Сан-Марино. Группа исполнила короткий акапелла отрывок песни "Breaking My Heart". Также было показано видео сообщение от представительницы Мальты на Евровидении 2012-2014 Валентины Монетты. Эта фотография, опубликованная продюсером Антонелло Кароцца, показывает планируемое движение участниц группы The Peppermints (Раффаэла 1, Грета 2, Анита 3, Арианна 4 и Сара 5) на сцене Детского Евровидения на временном отрезке 01.24-01.50 исполнения их композиции "Breaking My Heart". По всей видимости, 4 из участниц группы в это время выйдут на боковые подиумы. Не только фансайты Евровидения сообщили о том, что группа "The Peppermints" отправится на Детское Евровидение, но и ряд крупнейших итальянских СМИ, также посвятили им свои страницы и репортажи. Участие в Детском Евровидении - лишь шаг в продвижении группы. После окончания конкурса у нее запланирована серия концертов в Италии и зарубежом. Вебсайты: Corriere di Taranto, Agora Magazine, Ravenna Today, журнал Sorrisi, газеты Il resto de Carlino, Corriere Romagna, LaVoce, Spettacoli и телеканал Nuova Rete. Группа "The Peppermints" была сегодня официально названа в качестве представительниц Сан-Марино на Детском Евровидении 2014. Раффи, Грета, Арианна, Сара и Анита вместе со своим продюсером Антонелло Кароцца и главой делегации Сан-Марино Алессандро Капиччиони появились в новостном выпуске телевидения Сан-Марино. Короткое интервью вы можете увидеть здесь, а полный новостной репортаж здесь. Группа была представлена сегодня на пресс-конференции в Kursaal, в которой приняли участие государственный секретарь по делам молодежи Теодоро Лонфернини, а также представители делегации телеканала RTV, и группа продюсеров. Видеоклип на песню "Breaking My Heart" вы можете увидеть здесь. Группа из пяти девушек, получившая название "The Peppermints" представит Сан-Марино на Детском Евровидении 2014. Эту информацию сегодня сообщил итальянский журнал "TV Sorrisi e Canzoni". Информацию о выборе The Peppermints на Детское Евровидение подтвердил на своей странице в социальной сети арт-директор проекта Антонелло Кароцца. Презентация песни Сан-Марино состоится на пресс-конференции в понедельник, 29 сентября, в 15.00 Москвы. Представители Сан-Марино на Детском Евровидении 2014 будут выбраны из числа нынешних или прошлых участников музыкального конкурса "Vocine Nuove di Castrocaro", и вероятнее всего это будет дуэт, сообщает сегодня итальянский вебсайт Eurofestival News. "Vocine Nuove" - это международный конкурс для детей в возрасте до 14 лет, проводимый муниципалитетом коммуны Кастрокаро-Терме-э-Терра-дель-Соле. Возможно, в будущие годы этот конкурс может стать полноценным отбором Сан-Марино на Детское Евровидение. Правило гражданства в Детском Евровидении в этом году было изменено. Теперь оно гласит: "До участия допускаются дети, которые либо являются гражданами участвующей страны, или были резидентами в этой стране". Это означает, что критерий длины резидентства в 2.5 года был снят. Теоретически, это открывает дорогу для итальянских или иных исполнителей выступить от Сан-Марино, если ими будет получено разрешение на проживание в этой стране. Подготовкой Сан-Марино к конкурсу вновь занимается музыкальный продюсер и композитор Антонелло Кароцца, который был наставником первого представителя этой страны на конкурсе, Микеле Перниолы. В последние дни Антонелло, вместе со своими коллегами, художественным директором фестиваля "Vocine Nuove di Castrocaro" Катей Конфикони и маэстро Люкой Медри, отвечающим за секцию "Baby Band" этого фестиваля, публиковали серию фотографий, намекающих на свое участие в особом "сверх секретном" проекте. Facebook страница "Vocine Nuove di Castrocaro" также начала отчет до некого особого объявления, который завершится именно 30го сентября, в день презентации нового представителя Сан-Марино. Потому, становится очевидным, что конкурсант Детского Евровидения действительно будет иметь отношение к этому конкурсу. Eurofestival news в свою очередь также намекает, что представителем Сан-Марино должен стать дуэт, и под это определение подходят финалисты "Vocine Nuove" 2013 года Серена Планта и Марко Каудулло. Победителями конкурса 2014 года, прошедшего в мае, стали София Мурджия (категория Junior) и Клаудия Верилло (категория Baby). 22го сентября было объявлено, что песня будет исполняться на смеси итальянского и английского языков. Республика Сан-Марино вновь примет участие в конкурсе Детское Евровидение. На сегодняшнем заседании, вопрос участия в Детском Евровидении 2014 был одобрен генеральным директором телеканала San Marino RTV Карло Ромеро. Дальнейшая информация об участии Сан-Марино будет объявлена и его песня презентована на пресс-конференции национального вещателя, намеченной на 29 сентября, 13.00 местного времени. Согласно правилам конкурса, все страны обязаны заявить своих артистов и песни до встречи глав делегаций, запланированной на 30 сентября. Однако, в особых случаях, организационная группа конкурса может разрешить исключение из этого правила. appendo l'anima ai ricordi e… m'illudo…perché!? How am I doing, How do I feel? And you? Are you fine, aren't you? Я предаю саму себя... зачем!? Как у меня дела, что я чувствую? А ты? У тебя все в порядке, не так ли?